Welcome to the website of the scientific project with international participation ‘Copyright Policy of Libraries and Other Cultural Institutions’! October 2016. Copyright Literacy of specialists from libraries and other cultural institutions. International Survey. Summary of Results. More. 21 October 2015 Paper Session 2 A-222 Copyright Literacy in the Programme of European Conference on Information Literacy (19-23 October	, Tallinn, Estonia). More. 18 May 2015. Public Speech of Prof. Dr. Tania Todorova with presentation of project collaboration and results. Video. March-April 2015. Students’ Print versus Electronic Preferences: A Multi-National Study in 25 countries – new collaboration of the research team. More. 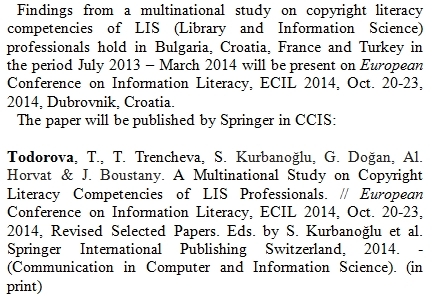 Participation on European Conference on Information Literacy, ECIL 2014, Oct. 20-23, 2014, Dubrovnik, Croatia. More information --> Photo Documentation. The interest of researchers from other countries to the Copyright Literacy Survey continues. 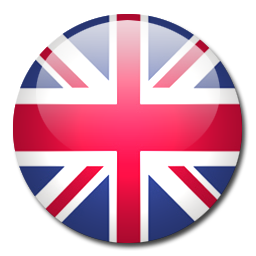 In the period of June - October 2014, the same survey will be conducted in Finland, Hungary, Italy, Lithuania, Mexico, Norway, Portugal, Romania, United Kingdom and USA. Scientific Seminar ‘Copyright Policy of Libraries and Other Cultural Institutions’, 31st October 2013 - video. Scientific Seminar ‘Copyright Policy of Libraries and Other Cultural Institutions’, 31st October 2013, Hotel Metropolitan, Hall Sofia, Sofia /Program/. 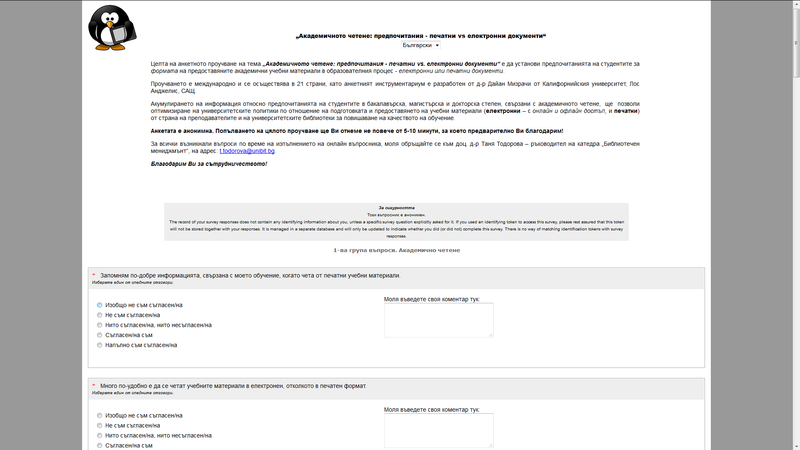 Project ‘Copyright Policy of Libraries and Other Cultural Institutions’ is funded by National Science Fund of the Bulgarian Ministry of Education and Science (Contract № DFNI-К01/0002-21.11.2012) and leaded by Assoc. Prof. Dr. Tania Todorova.